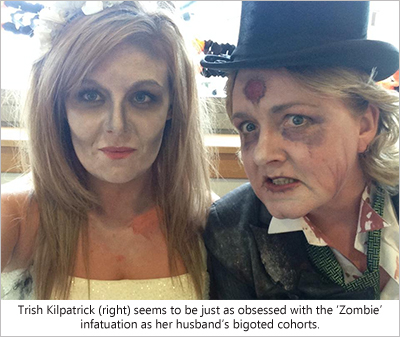 Our third article focuses on another bigot named Robert Bruce Kilpatrick. 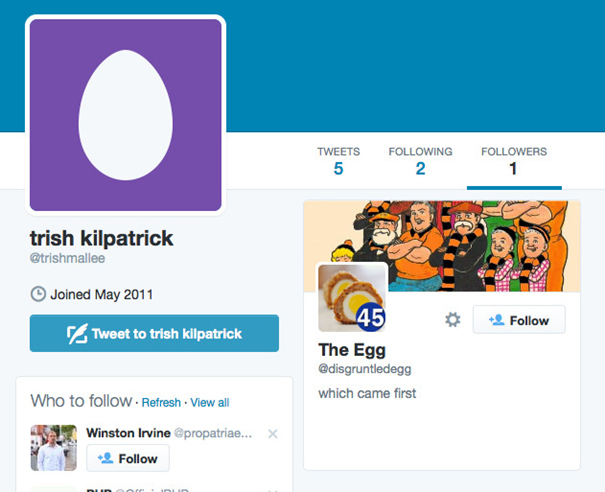 Kilpatrick is a Dundee United fan who works for HMRC in East Kilbride, and generally goes by his middle name. This man is another who leads a double life as a professional government job by day and a bigoted anti-Rangers crackpot by night. I won’t even get into the irony of being a ‘45er’ and working for the UK government. 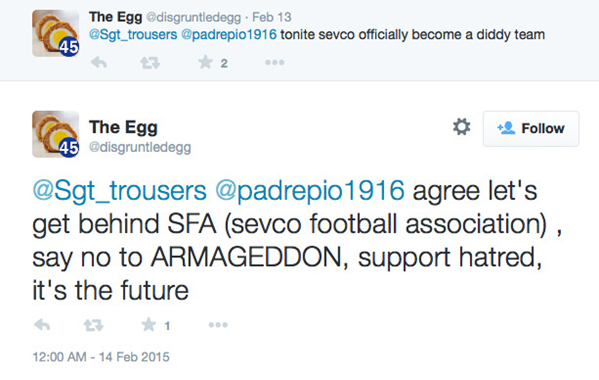 Being the hater he is, he jumps at every opportunity to troll Rangers-related stories. 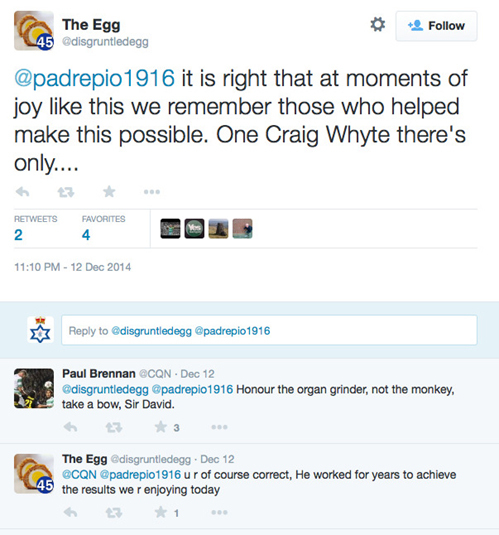 Funny how he is so obsessed with RFC given that he is of the erroneous opinion that they are a “new” and “diddy” club. That is some cognitive dissonance. But then again, these people never exactly cornered the market on rational and critical thought. 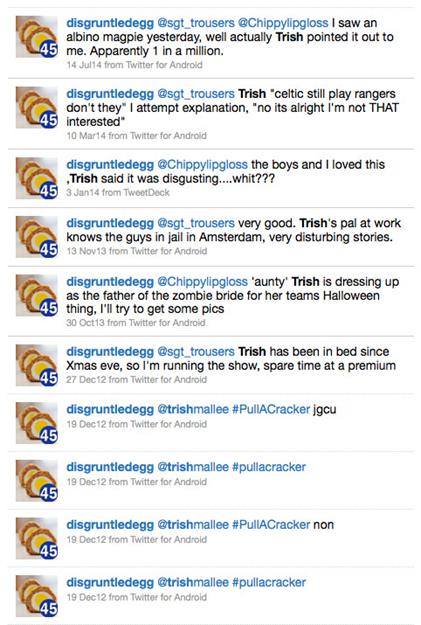 This tweet is quite interesting; it is dated the day after Arlene Sugden’s ‘zombie’ New Year party. 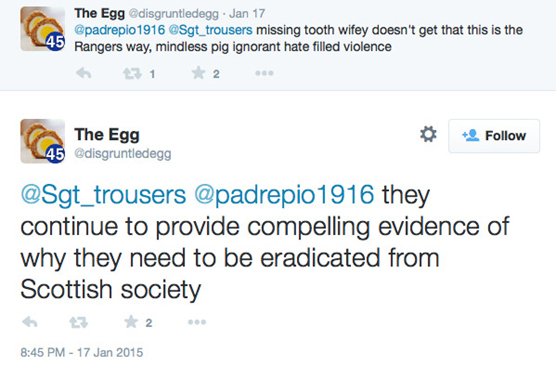 The sectarian intent of the language is quite obvious when put in this context. 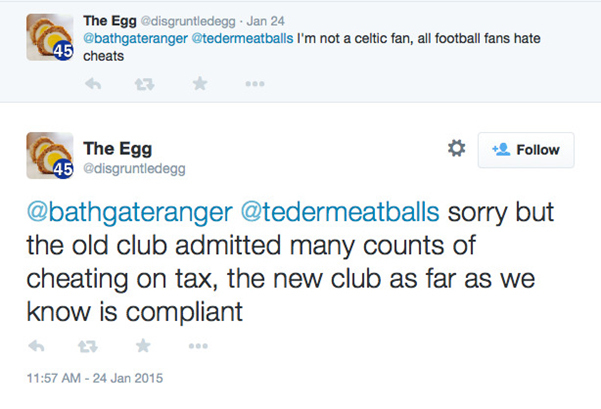 This is, however, quite common amongst the HMRC bigots we have exposed. Clearly, Bruce Kilpatrick et al. 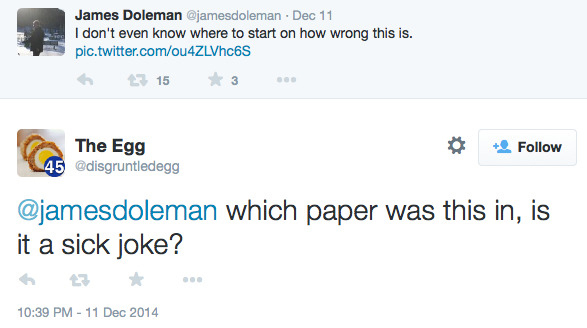 think that they are clever enough to hide their bigotry behind a keyboard. They are sorely mistaken. These are people which in one breath decry any perceived offence against Celtic (Or Dundee United) yet in the other spew the worst kind of hatred upon anything related to Rangers FC. This is the true persona of a hate-filled and bigoted hypocrite. The mask has slipped indeed.